Bromley’s Civic Centre has built up and around a beautiful construction, the Old Palace, which was built in 1775 for the Bishop of Rochester. The recession and subsequent spending reviews within the public sector has made prioritisation of resource a hot topic with local authorities across the country. With capital projects difficult to justify, many public sector organisations turn to financing to put in place the projects that will lead to greater efficiency and improved cost and carbon performance. When the London Borough of Bromley approached us to help improve the environmental performance of the Civic Centre, they asked that we examine the various funding streams available within the public sector. Two powerPerfector Plus units, a 420kVA and a 560kVA, were installed there on 8 February 2009. Match funding was received from Salix covering half of the cost of both the installation and units. 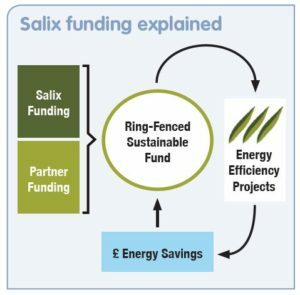 Salix Finance is an independent, not for profit company, funded by the Department for Energy and Climate Change, The Welsh Assembly Government and The Scottish Government via The Carbon Trust. Its purpose is to accelerate investment by public sector bodies in energy efficiency technologies through invest to save schemes. On 9 February 2012, we received confirmation from The Strategy Development Officer at The London Borough of Bromley advising us that the Council had finished repaying the loan, three years after the units were installed. Nearly three-quarters of the council’s emissions are attributable to its buildings. It has made good progress and has reduced emissions by around 25 per cent over the last 5 years. Despite this positive environmental financial and environmental outcome, the Council is not complacent and has identified where it needs to take further action to ensure continued progress is made. Bromley’s approach is to monitor and report on the effectiveness of such initiatives by measuring energy/fuel/water consumption and waste production and expressing this data as a ‘carbon equivalent’ (CO2e) figure. In this way, much more than just energy use gets measured, providing a more rounded assessment of the Council’s environmental impacts.